For your health, any infection is a threat. And each time, a very specific enemy is responsible. In such cases, your body has to eradicate a strain (or a couple of them) of bacteria, viruses or fungi, and its usual way of doing so is by putting its immune system to work. And oh, how it works! The human immune system is exceptionally intelligent at destroying its targets and has a lot of weapons in stock for that. But what if your own body becomes the target? What happens when your immune system starts waging a war against your own organs and tissues, gradually damaging them up to the point of FUBAR (military slang, “fouled up beyond all repair”)? This is exactly what autoimmune diseases are all about. A terrible, pointless war between you and yourself. But fear not, soldier, as we’ve prepared quite the intel to bring you victory! In this article, you will learn the causes, symptoms, and best natural remedies for preventing and treating autoimmune diseases. Read on! Autoimmune Diseases: What Are They? When a bacterium, virus or fungus invades your body, your immune system quickly makes its first contact with the intruder (which we will call “antigen” in this context). Then the situation can go two different ways: if the threat is minor, it is taken care of on the spot; but in all other cases your body feels like it will need to build up some firepower, mainly in the form of antibodies. The latter amounts to a special type of proteins produced by your B lymphocytes, one of the most important populations of immune cells in your body. The antibodies they make are highly specific, meaning that every single one of them is designed and synthesized to fight only one specific antigen. It takes your B cells a week on average to start firing out antibodies in effective amounts, and actually, that’s why a common cold usually lasts around that many days (in general). But here’s the problem: Sometimes your B lymphocytes can start producing antibodies to other cells of your own body, and that’s when an autoimmune disease starts. For example, when your B cells make antibodies that target your DNA, you get systemic lupus erythematosus. When they create antibodies to your acetylcholine receptors, you get myasthenia gravis. When the target is your thyroid gland, you get an autoimmune thyroiditis. And the list goes on and on, as more than 80 autoimmune diseases are known at the moment. But what is the trigger? How can you get an autoimmune disease? Common Causes Of Autoimmune Diseases: Know The Threat! One of the most common causes of autoimmune diseases stems from a leaky gut. A faulty diet and lifestyle can lead to poor gut health and an imbalanced gut flora (microbiome) that results in leaky gut. A leaky gut (increased intestinal permeability) condition causes increased inflammation, immune dystregulation and ultimately the onset of autoimmunity. The most important protocol in healing an autoimmune disease, is to first of all clean up your diet, then heal the leaky gut. In other words, autoimmune processes can be caused by pretty much anything! It’s crucial to recognize its symptoms during the earliest stages. If untreated, many autoimmune disorders quickly progress up to a point when no medicine (conventional or natural) would be effective. Early Signs And Symptoms Of Autoimmune Diseases: Recognize The Enemy! The main problem in diagnosing an autoimmune process is that they all have very similar signs and symptoms, and a lot of unspecific ones at that. Some sources state that the average patient may undergo 6-10 consultations with doctors of all possible specializations before one of them starts suspecting autoimmunity as the cause of the person’s suffering. Can you imagine how severe the process would have become by that time? And the problems don’t end just there: after the diagnosis is done, it’s time to treat the condition. But the conventional therapy for autoimmune processes is a dangerous one, with countless related side effects and complications. As the main “culprit” of any autoimmune disease is your own immune system, the conventional therapy of such conditions (steroids, as a rule) usually involves inhibiting it to the point where it won’t impose such a huge threat to your health. But this is a double-edged sword. By inhibiting the patient’s immune system, the traditional therapy for autoimmunity also makes the patient much more susceptible to all kinds of infections (bacterial, viral, and fungal). And, sadly, such a blow could turn out to be fatal for the poor fellow. A study published in 2016 stated that patients on a steroid-based therapy had a 60% greater risk of developing infectious complications. Another common side effect of such a treatment is the so-called “steroid-induced” diabetes, which takes place in 14 to 52% of the cases and goes hand in hand with all other diabetes-related complications. But contrary to what it may seem, this situation is far from being totally hopeless. In fact, there are many natural ways to prevent autoimmune diseases and alleviate their course, so listen close! It is scary when you’ve been diagnosed with an autoimmune disease, but it can be reversed. It may be a long journey, but it is possible to heal from it if you’re determined. Identify to treat the underlying cause naturally. As mentioned above, conventional treatments cannot be a long-term solution as they do not address the root problem. Drugs can only quickly increase the risk of your condition and make it worse. Perform an elimination diet to remove inflammatory foods. Some of them could be the cause of your problem without you knowing, gluten being one of the biggest culprits. Most likely, there is a parasites problem. Get a comprehensive stool test to check for parasites, bacteria and infections. With individuals who suffer from autoimmune diseases, most of the time, there is also leaky gut problem so that needs to be addressed. Learn some strategies here on how to heal from leaky gut. Get checked for heavy metal toxicity. Heavy metals can be a major cause of autoimmune diseases that are often overlooked. Mercury fillings in your teeth are a common contributor and should be the first place to look. If you have amalgam fillings, then consider getting them removed safely. Gastrointestinal and parasite cleanses are necessary to start on your journey to health. A gallbladder flush will also provide a tremendous improvement to rid the body of chronic problems. It is important for you to restore your gut health with the 4R approach. Autoimmune diseases mostly begin in the gut so by improving and strengthening your gut health again is the best way to heal from your condition. Numerous studies have confirmed that omega-3 fatty acids can decrease inflammation and reduce the need for extra drugs in patients with rheumatoid arthritis, lupus erythematosus, psoriasis, and multiple sclerosis. Besides that, omega-3s lower your risk of cardiovascular diseases, improve eye health, reduce symptoms of metabolic syndrome, and enhance brain function. Some examples of foods that are rich in omega-3 fatty acids include free-range chicken eggs, fish oil, spinach, seafood, flax seeds, walnuts, chia seeds and flaxseeds. 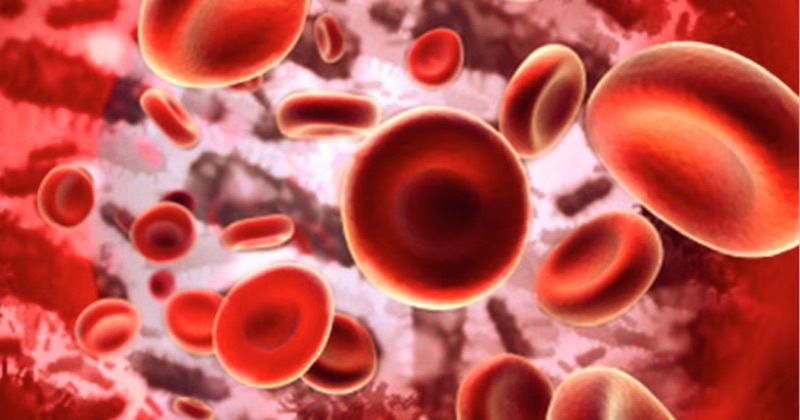 The link between infectious diseases and autoimmune processes is a well-known one. For example, there is a strong association between Helicobacter pylori and immune thrombocytopenia, Streptococcus pyogenes and arthritis, Campylobacter jejuni and Guillain-Barré syndrome. In order to prevent possible autoimmune diseases and alleviate current ones, it is recommended to treat all infections timely, without letting them become chronic. Stress can cause a lot of problems to your gut and your immune system. Whatever your faith, meditation imposes a scientifically-confirmed and huge effect on your health. Besides stabilizing your mood and improving fatigue, this simple stress-reducing intervention has also shown benefits for autoimmune diseases too. Okay, we know that this can be hard. Sleep deprivation has almost become a normal thing in modern society, but did you know that it can mess up your immune system badly, leading to the production of the auto-antibodies (antibodies triggering your own tissues and organs) that we’ve told you about? Do your best to sleep for at least 7-8 hours every single night. Your health and wellbeing are much more important than any kind of work and any amount of money physically earnable, so get some rest! You might get some tips here to help you sleep, or learn the 4-7-8 breathing technique to train yourself to fall asleep within minutes! Aerobic and resistance physical activity shows fantastic effects in people suffering from rheumatoid arthritis. We don’t necessarily suggest you to start lifting Olympic weights or running half-marathons without previous experience, but keep in mind that the more you move the better you’ll feel. How about simply starting with walking 10 to 15 minutes barefoot outdoors. This simple exercise will significantly reduce inflammation, without any painkillers! The root of any health issues you have is often because your immune system has gone off-balance or haywire. There are many things you can do to restore and rebalance your immune system. Many of which can be found on this site. However, there is one particular immuno-modulating formula that I swear by. 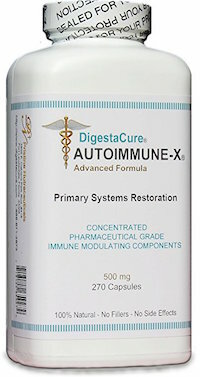 The DigestaCure Autoimmune-X helps really well with calming down an overactive immune system without any side effects. But, there are some healing reactions, so you will need to work with their Support Specialist on your specific dosage. This formula targets to heal your immune system and brings it back to balance. It is like resetting an internal button that begins to heal every symptom. It is like being given a new lease of life. Natural healing takes time, so you will have to allow yourself a few months to get well, while being on this formula. I cannot say enough about the effectiveness of this immuno-modulating plant-based formula, and I have used it successfully with my clients. No need for 10-20 types of supplements, just this one: Digestacure Autoimmune-X Advanced Formula. It heals your gut and your immune system, accurately. You can read reviews and buy it here. Or buy directly from LifeSavingFormulas.com. There are lots of information on that site. Find out how to take the product, or call their Experienced Support Specialist. This works, but you need to be consistent with it. You may experience some healing reactions, but some people give up too soon and lose the opportunity to heal. Remember, it may get worse before it gets better (although it’s different for everybody), so don’t panic. Call their Support Specialist for guidance. Autoimmune diseases are a type of disorder in which your own body starts destroying itself due to a distorted behavior of your immune system. Be it lupus, arthritis, or myasthenia, the general principle is always the same: your B lymphocytes are producing antibodies to tissues and organs of your own body, thus attacking and gradually destroying them. The conventional treatment of autoimmune diseases usually consists of high-dose steroid therapy to suppress your immune system and prevent it from attacking yourself. But such an approach goes hand-in-hand with terrible consequences including infections of all sorts, steroid-induced diabetes, cataract, glaucoma, and adrenal insufficiency. Have enough sleep each night—we can’t stress enough how important it is to sleep sufficiently every night! Try out Digestacure Autoimmune-X Advanced Formula. You have nothing to lose, they even offer you money back guarantee. And one more thing—love yourself! Wars are defused by love, and autoimmune processes are, indeed, inner wars between one and oneself. So look at yourself in the mirror, smile with all you have, and say it out loud from the bottom of your heart: “I love you!” You’ll see your reflection telling you just the same. Transform your war into love, and everything will be fabulous in the end! Hi Kim, what I have to say about the autoimmune disorder are as in this article above. And, I know that it CAN be reversed because I’ve successfully helped my clients heal from their autoimmune issues.